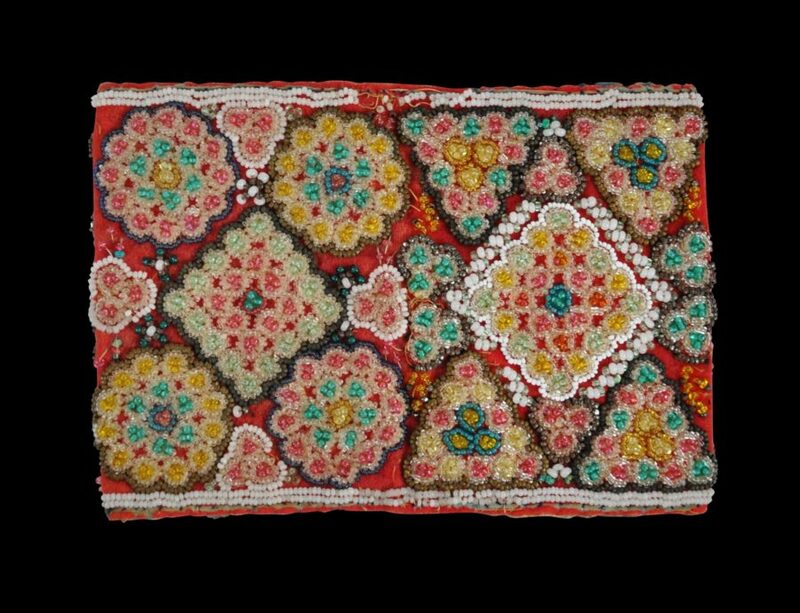 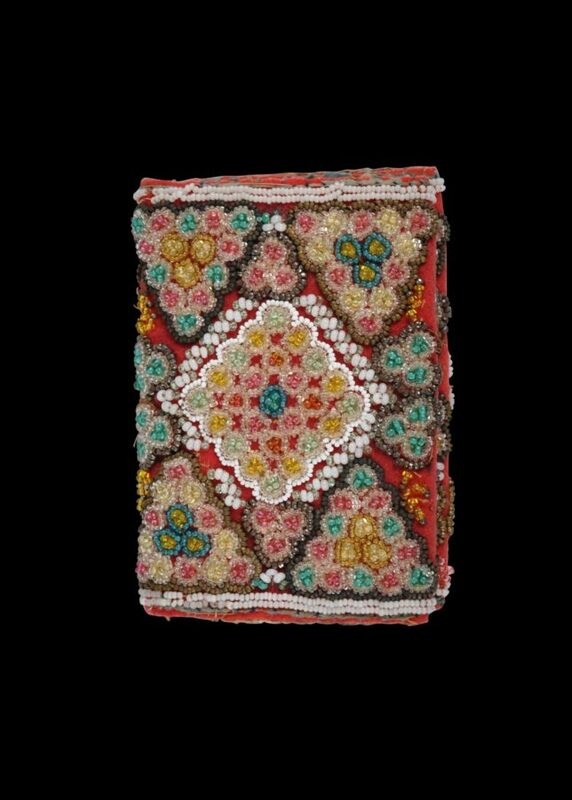 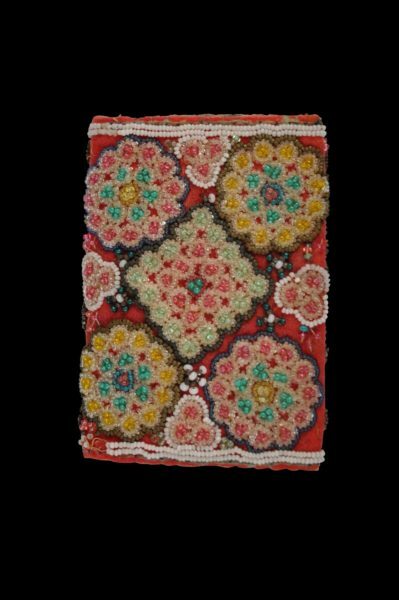 This purse intended for a peranakan (localised Chinese) lady most probably in West Sumatra is decorated on both sides with multi-coloured glass seed beads, arrayed as flowers. 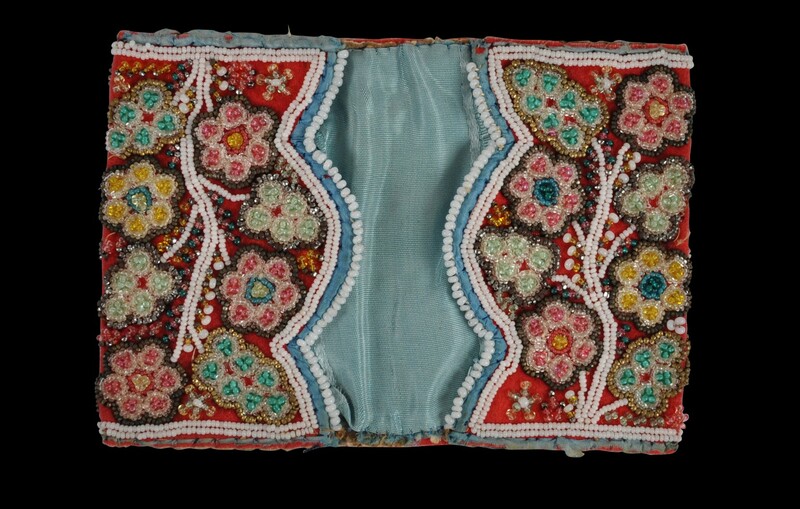 The interior is lined with light-blue satin. The purse opens out and has a compartment on each side. The beads have been stitched one by one and are larger than the rocaille beads usually used by the Straits Chinese and peranakan Chinese. The purse is n very good condition with minimal losses.